Armando, born Herman Dirk van Dodeweerd, was a Dutch painter, sculptor and writer. Bruce Stewart Baker was an American geneticist. Amos Cardarelli was an Italian professional footballer who played as a defender. Henry Butler was an American jazz and blues pianist. He learned piano, drums, and saxophone in school. He received a college degree and graduate degree and taught at the New Orleans Center for the Creative Arts. He worked as a soloist and in groups in Los Angeles and New York City. Despite his blindness, he spent time as a photographer and had his work exhibited in galleries. Emma Černá was a Czech stage, film and television actress. 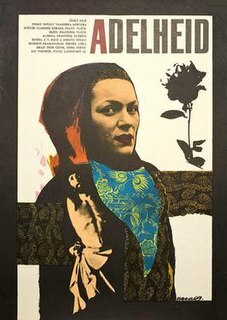 Adelheid is a 1970 Czechoslovak drama film directed by František Vláčil, based on a 1967 novel of the same name by Czech writer Vladimír Körner. The story is about the complicated relationship between Czech man Viktor and German woman Adelheid, and about relationships between Czechs and Germans in postwar Czechoslovakia in general. Pierre-Ernest Abandzounou was a Congolese politician. He served in the government of Congo-Brazzaville as Secretary of State for Scientific Research from August 2002 to January 2005 and then as Minister of Scientific Research from January 2005 to December 2007. He was also the President of the Action Committee for Progress (CAP) from 2005 to 2011. Since 2012, he has been Congo-Brazzaville's Ambassador to Chad. Alan Diaz was an American photographer who won the 2001 Pulitzer Prize for Breaking News Photography for his photograph of the United States Border Patrol's BORTAC team's seizure of Elian Gonzalez. Boukary Adji was a Nigerien politician. He served as Niger's Prime Minister from 30 January 1996 to 21 December 1996. E. Riley Anderson was an American jurist who served as Chief Justice of the Tennessee Supreme Court. 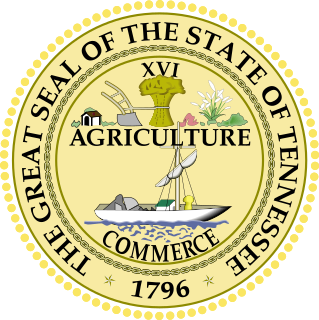 The Tennessee Supreme Court is the ultimate judicial tribunal of the state of Tennessee. Jeffrey S. Bivins is the Chief Justice. François Budet was a French singer-songwriter, novelist and poet. Adamu Ciroma was a Nigerian politician and Governor of the Central Bank of Nigeria, born in Potiskum, Yobe State. He was a member of the People's Democratic Party. ↑ Alexander Bogomolny, creator of Cut the Knot, has died. ↑ Australia's most senior Muslim cleric Sheikh Abdel Aziem Al-Afifi has died of cancer. He was 48. ↑ Harold Covington, Founder of the NorthWest Front, has passed away.